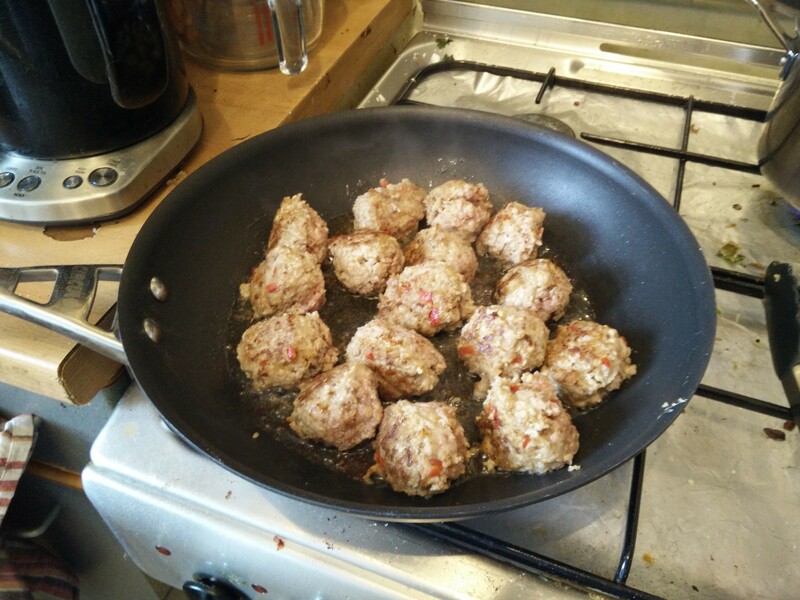 When you think meatballs, you think Italy. Maybe a nice spicy tomato sauce. 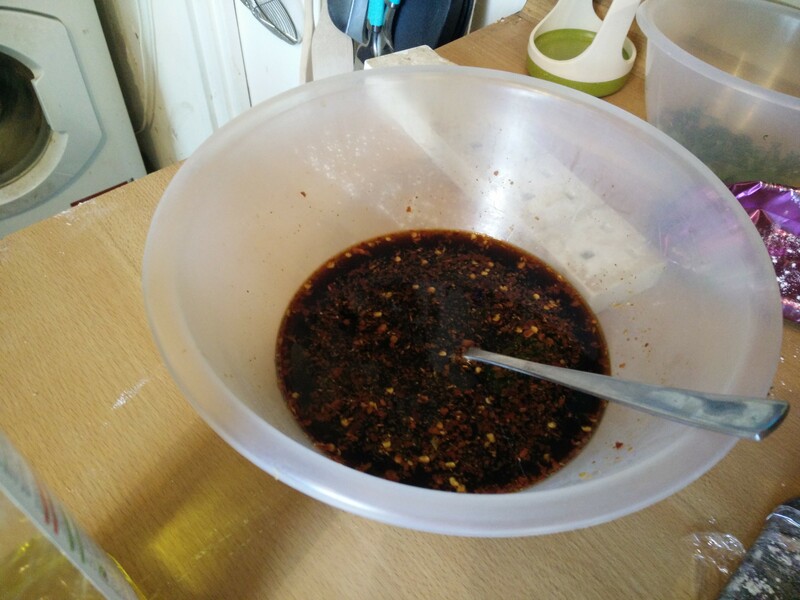 But here we have a nice sticky Teriyaki sauce! 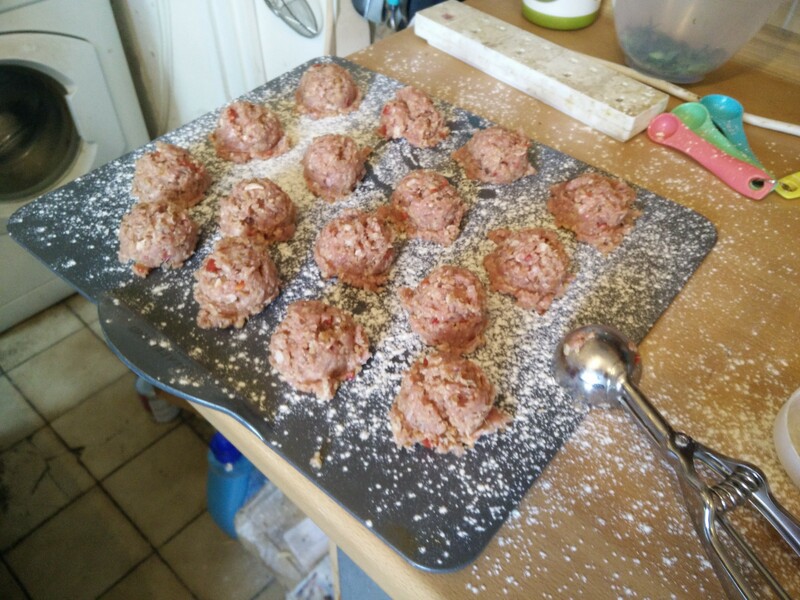 The meatballs are turkey, and just get mixed up with breadcrumbs, milk, egg, spices, as you’d expect. Being lazy I went for a medium sized scooper that I normally use for cookies to portion out. 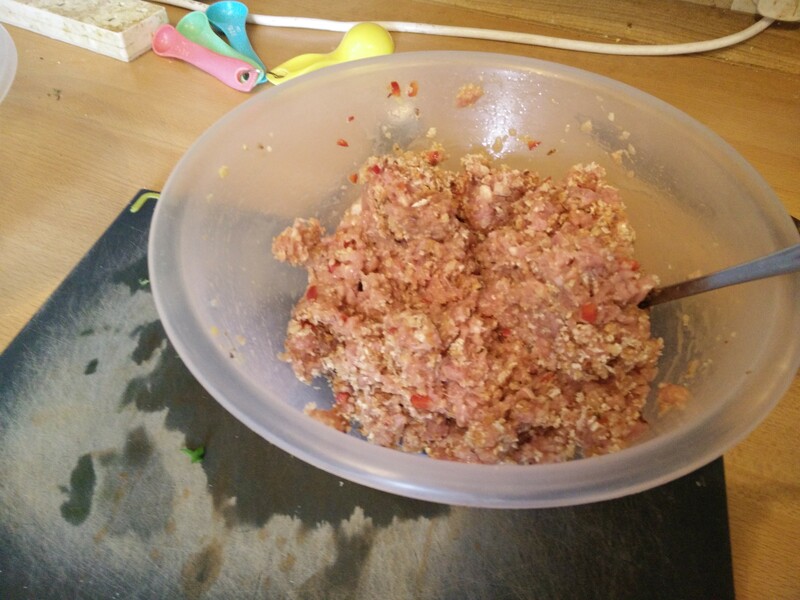 Sauce is soy, sugar, honey, mirin, garlic, chilli flakes… usual stuff again! 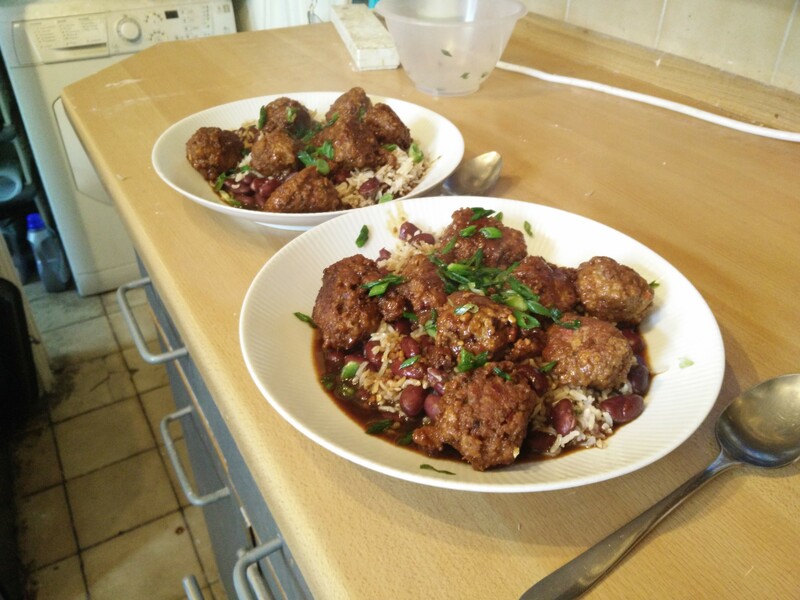 Brown rice goes on with kidney beans, for a sort of rice and peas side. 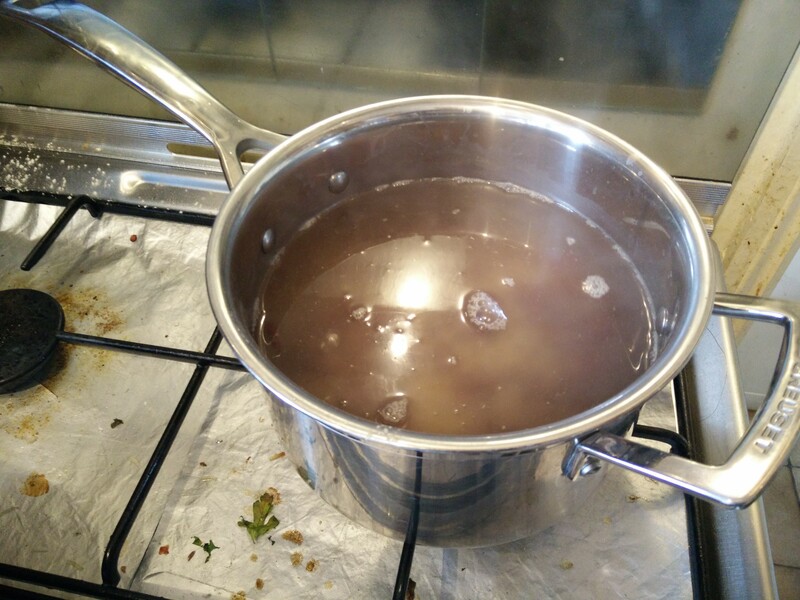 Then they get the sauce, and the lid on to steam until cooked. Mmm! 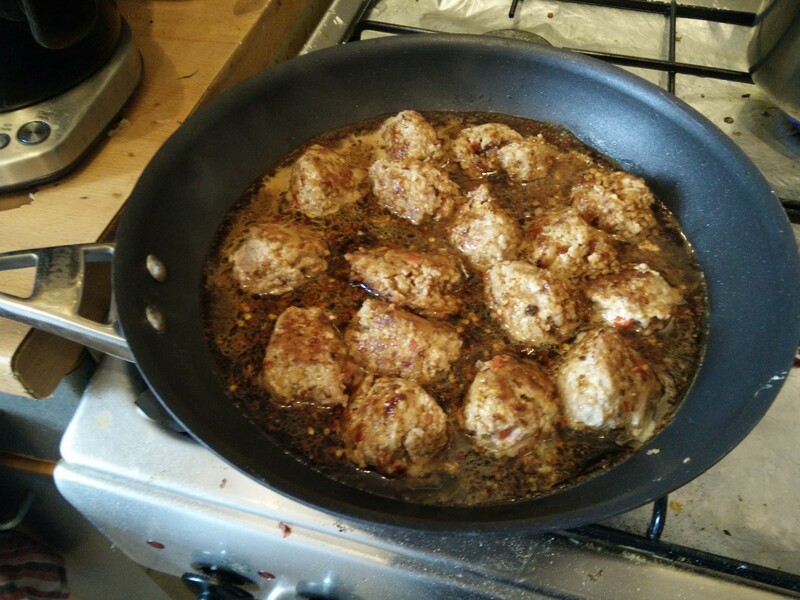 Sweet & sour sauce, with stereotypical spicy meatballs! Good stuff!